He’s handsome. Sophisticated. Powerful. Good looking. A real hunk who will take you places you’ve never been before. 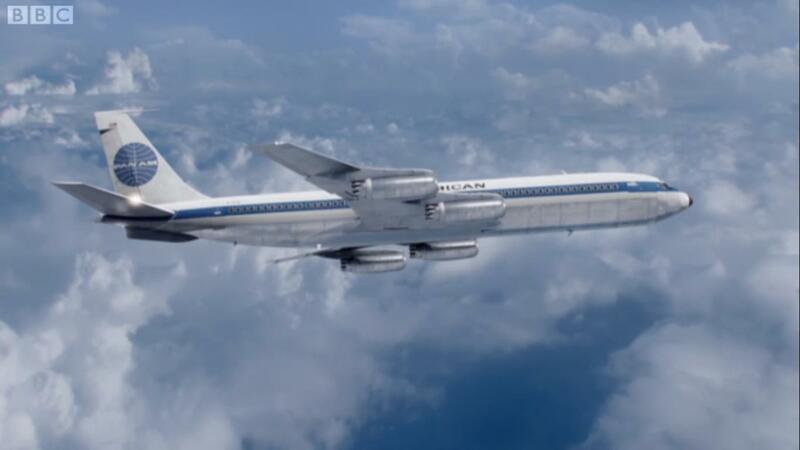 He is the completely irresistible Clipper Majestic, the flagship Boeing 707 of ABC’s new drama, Pan Am. The BBC have been showing double episodes of Pan Am every Saturday night, and I have found myself counting down the days until the next drama unfolds. We have six major characters (four stewardesses and two pilots) and a whole host of sub-narratives struggling to take the main stage and claim the series as either a Cold War spy drama, a discussion on proto-feminism, Mad Men at 30 thousand feet, an exploration of the post-War era, or a picture of 60s America/London/Paris. But in the sea of lesser narratives and recurring minor characters, we never get distracted from who the real star of this show is: the Clipper Majestic himself. While each installment focuses on the development and exposition of a character, it was episode 8, Unscheduled Departure, that really set itself apart in a daring act of scriptwriting that cast the Boeing 707 as the main character to be explored for an hour. After the team made an emergency stop at Haiti, we were faced with the real possibility that the Clipper Majestic could be grounded on a runway that was too short. Unable to take off, what were the options? As the pilots got the engineer’s manual out and the stewardesses endeavored to lighten the load, the cast struggled to jettison the weight required. As the tension mounted, it became clear that the Boeing was the clear star of the episode. In fact, he is definitely the show-stopper of the entire series. The Clipper Majestic is the hulk of the late-War bomber converted into the epitome of luxury peacetime air travel with new, svelte contours and stylishly swept back wings for improved performance at high-speed. Pods suspended from the wings house the new jet engines, carefully positioned away from the main fuselage to increase passenger comfort. He really is the dawn of the new jet age, and he’ll show you the world. Catch up with Pan Am on BBC iPlayer. P.S. For the latest showings of Pan Am, please check my more recent post. This programme seems to have disappeared from the BBC schedules. I knew it was too good to last. Why has the regular spot been taken up by something else? I’m so disappointed this has happened – I heard a rumour a while back that the show might be abandoned (http://www.dailymail.co.uk/tvshowbiz/article-2067949/Pan-Am-star-Karine-Vanasse-says-cancelled–tweeting-u-turn.html) but it seems to have been just gossip. The Radio Times has an article on the rescheduling of Pan Am, so it might just be a temporary blip until they sort out a regular slot (http://www.radiotimes.com/news/2011-11-20/tv-ratings-pan-am-is-grounded). i am so disappointed too! this was really the only programme i have bothered to watch consitently for ages. would very much like to see the remaining epsidodes. Me too! Apparently Walking Dead isn’t on this week either – maybe there’s some hiccup in the pre-Christmas scheduling? 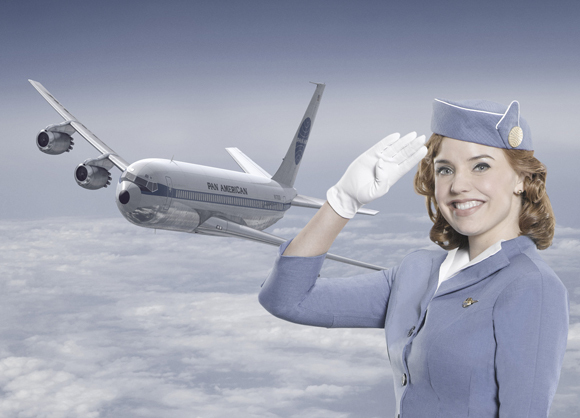 We loved Pan Am and watched it as a family….. Where has it gone? Ep8 was fantastic snd now nothing…Burmuda Triangle??? Come on bring it back!!!! Ep 8 was amazing, wasn’t it?! It was by far the best one so far – and now I can’t wait to see how the season develops (hopefully with lots more Boeing screen time). I thought my first comment might bring forth a reply from the BBC (as it had to be moderated anyway) But clearly the mods don’t know any more than us or can’t be bothered to find out. Which of course they could do as they have access to more resources than us, the licence payers. The BBC do scan for relevant content on the web about their programmes, so hopefully this should come to their attention. I can’t believe the BBC have just stopped showing this series of Pan Am. I was absolutely loving it! Was really looking forward to the next two episodes and yet can see no information detailing when they are to be shown. I understand it coincides with the Killing II, on BB4, which I am also watching, but surely that’s no reason to pull it?? People are probably recording one and watching the other?!! where’s Pan Am gone??? so looking for forward to watching it!!!!! Me too, I really hope the next episode comes along soon! Was just siting down to prepare my viewing for tonight. Was horrified to find ‘ in the valley of Elah’ to be taking centre stage where my beloved Pan Am should be. Where has it gone?? What have the BBC done with it? I have been so looking forward to my Saturday night with the crew of Pan Am. Please bring it back asap, I want to know what happens next. So disappointed. Does “In the Valley of Elah” have planes in it? If not, then it’s certainly not a suitable replacement for our beloved Pan Am! I’m really disappointed it’s not on. I’ve spent all week looking forward to seeing the Clipper Majestic again! Where has Pan Am gone? I’m very disappointed its not on tonight. Me too. Hopefully it should be back in the New Year. Where has Pan Am gone. I was really looking forward to more episodes. Me too 😦 Apparently it’s not been cancelled, so there should be 22 episodes in total. It should be back, we had almost caught up to America where for some reason they like their shows to take a break midseason. However do not be surprised if it disappears totally, rumour has it it is struggling and due to be cancelled like far too many of the best American shows (especially the ones from ABC &Fox). That’s a really good point about the midseason break in American TV – perhaps our scheduling is also getting a bit erratic because Christmas is approaching (I think Walking Dead is also missing from tonight’s TV)? Where is it? Been watching and loving it and now it’s gone!! I hear you, and I completely agree – bring Pan Am back! It is just a fantastic era for air travel, isn’t it? Back when it was peacetime luxury, and before the fear of hijacking. I really hope they bring it back. It’s the best thing I’ve seen on terrestrial TV for ages. I totally agree about counting down the days to the next episodes, which is why it’s so disappointing to find that 8 episodes in to a 22 episode run it’s disappeared from the schedules. The campaign to restore Pan Am to its rightful place on Saturday nights starts here! I could not agree with you more – let’s get Pan Am back on air! I was enjoying Pan Am so much as were all my family. Please reschedule it for the near future and publicise when it will be on. i think it would have done well in a prime time slot on BBC1. I too was disappointed to find that it’s not on tonight – me, my mum, and my sister all watch it! Furious that Pan Am is not on!!! Where did it go? I look forward to it all week. Why are there no announcements on the website or on BBC2? Very poor… Are we going to end up with typically American scheduling in the UK (where there is no logic or regularity to programming so it’s so difficult to follow a series that you just give up)? It’s such a great programme for watching with others, isn’t it? There realy is something in Pan Am for everyone! WHERE HAS IT GONE!!!????!!!! I found this link through the BBC website so I really hope they read our replies….BRING IT BACK – QUICKLY I need my Pan Am! I hate it when that happens – I often sit down ready for Corrie and it’s not on that night (mostly my own fault, since I tend to do this on a Wednesday and hasn’t been on on Wednesdays for years now). come on!!! my sat night has just been totally ruined! Where is Pan Am? I need it back on my tv asap! Don’t disappoint me BBC! I hear you, bring back Pan Am! I took the news badly too. It wouldn’t make any sense to start a series and then abandon it halfway through, especially if you’ve paid for a full-scale model of a Boeing 707 to be built for filming… so hopefully they should bring it back! I am so disappointed too! I’ve frantically watched the last two episodes on catch up and now discover that episodes 9 and 10 are nowhere to be seen. I can’t see anything on the BBC website either – the Beeb, this just isn’t good enough! I rewatched them on iPlayer during the week, all getting excited about Saturday night Boeing 707 time, and then… nothing! Bring back the Clipper Majestic! Agree with all the above – love pan am and was waiting with baited breath for it tonight! Please bring it back soon and advertise it!!! Best show in ages! Love it! Me too! I was blown away by episode 8, Unscheduled Departure, and thought that this week’s would be equally stellar! 😦 maybe it’s the midseason break in America? I am so fed up with just getting into a series and then to have it taken off before it has a chance to get going. America do this all the time with excellent programmes! Some of us dont want to watch stupid reality tv on a saturday night…u can keep X factor and im a celebrity..Bring back Pan Am. Its the best thing thats been on tv in ages and it would be nice to have the chance to view the entire 22 episodes….so beeb please listen to the people who pay your wages and bring it back, if not on a saturday then another evening please! I agree with you completely – it would ne nice to see some cash invested in drama series, rather than producing a surplus of reality TV shows… not everyone is nuts about reality TV! All good points, I don’t understand how the clash with The Killing is a problem, since you can watch either on iPlayer or record them. It is a shame that ratings seems to dictate so much these days. It would be great to see more cash injected into dramas instead of reality TV, too. pleeeeeeeeeeeeeeeeeease bring it back to our screens, SOON!!!!!!!!! I am going to get withdrawal symptoms unless it comes back soon! We too have been avidly following the series and were surprised and disappointed at its sudden disappearance with no warning.Please let’s see it back soon!!! I am so gutted that Pan Am seems to have done a runner, I look forward to watching it every week. Please, please, please bring it back BBC or at least can someone please let us know what is happening rather than leaving us to speculate its future or not ………….. I completely agree – if I hear anything then I’ll put it up here. I was about to watch on BBC iplayer and its not there!!!!! After reading the abovce comments I hope it is just being delayed for whatever reason. The last episode Unscheduled Departure was the best on yet. why cant the BBC even keep it on the iplayer so we can watch it again and the other episodes as they are not showing on TV. i watch on the iplayer with headphones, great sound coming through which I miss on my non-HD TV!. Give us some info BBC on the Pan Am page! Unscheduled Departure was stunning, wasn’t it? I thought the season was just getting good! When is the next episode showing? I’m getting withdrawal symptoms! i soo agree love pan am, really fed up with every program i get into getting cut, not always the bbc. I was just thinking about a second series the other day! That would be amazing! Just to concur with the above in hope that all the positive opinions will ensure that the BBC does return this series to our screens… I love Pan Am. Please make sure it comes back after the US mid-season break! And BBC please learn to communicate/ inform the viewers of changes to scheduling. It is such a disappointment when you fail to make changes known! wow – am so glad that every one is postign here. actually emailed BBC today to complain and referenced this site so they can see how it has upset so many. Thanks for commenting, it would be nice to know a little more. “When will series one of Pan Am resume on BBC Two? We have received a number of enquiries from viewers who wish to know when episode nine and the remainder of the Pan Am series will be shown on BBC Two. Lets keep our fingers crossed that some info will be forthcoming soon. Thanks for posting more details here 🙂 Let’s hope that we hear something soon! I agree it’s a fun programme to watch. What really disappoints me is the BBC don’t make much of an effort to communicate with the viewers about what’s happening with the show. Much scouring of the web still uncovers little in the way of an answer whether the show has been pulled or if it’s a victim of the ridiculous US mid-season break. It’s definitely fun. I have to say that I’ve likewise been unable to find out any more about why it’s been taken off air so suddenly… I never expected Unscheduled Departure to be a metaphor! I don’t think it’s the Beeb’s fault, but their lack of info is frustrating. 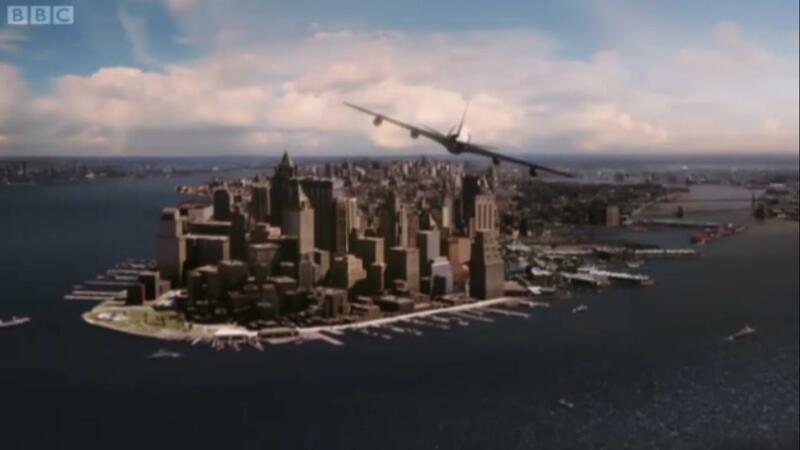 There is a #SavePanAm campaign on twitter & there were rumours of ABC cancelling the series due to low ratings (not the first time in the US – I for one am getting increasingly frustrated when a good US series starts and then stops so suddenly )…but they seem to be fulfilling their commitment to finishing series one. There was a bit of a break between the airings of Ep8 & Ep9 in the US from what I can gather online, so presumably the BBC will have had to wait to broadcast it over here. It seems the rest of the episodes won’t start airing in the US until January ’12. 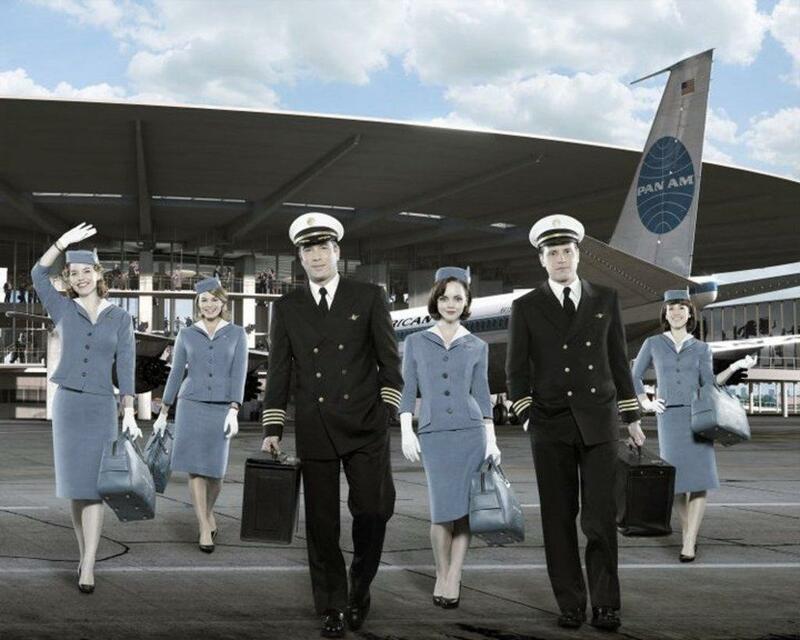 When will series one of Pan Am resume on BBC Two? The series will return in 2012 and once we have an exact transmission date we will update this FAQ with an answer as soon as we can. I have the same problem – what will I watch now? Nothing could replace Pan Am! So dissapointed, couldn’t watch Pan Am on Saturday night and so planned to watch it tonight on catch up. But nothing 😦 Glad I found your site though, thought I was going mad. Bring back Pan Am, one of the best series we have had for a long time. Thanks for commenting and hope you stop by again. I’ve been a really good girl this year, and all I want for Christmas is for Pan Am to be back with a regular slot in the schedule..oh yeah.. and world peace! Great! 😀 I wonder if it’s too late to add “Episode 9: Kiss Kiss, Bang Bang of Pan Am” to my list for Santa? Totally Agree With All The Posts Above! Really Unhappy I Have Not Been Able To Watchh, This Programme & The Apprentice Are The Only 2 Shows I Watch Relgiously! Bar That I Don’t Watch Television. PAN Am Series Has Been So Captivating Even My Friends Know Not To Call My Mobile When It Starts ! Period !! BBC Do Us A Favour And Reschedule It Pronto! I completely agree, it should be back on our screens ASAP! Absolute disgrace really. It does not take much to update viewers – maybe a message at the end of the last episode?! An engrossing word is designer remark. I conceive that you should pen much on this issue, it strength not be a preconception someone but mostly people are not enough to verbalise on specified topics. To the succeeding. Cheers like your Falling in Love Again…. with the Clipper Majestic | The Lady in Waiting. I love the layout of your layout. Obviously you have a very valid point, however I can’t get over how great the site design is. I stopped watching it on BB2 coz RTE2 in Ireland is showing it too and went up to episode 10, and its back next week 🙂 Hope they dont cancel it its my fave. This is great news! Hurray! Thanks for letting us all know – I wonder if we could get RTE2 on our Sky packages…? I think that the BBC are having some kind of “break” with some show over the Christmas period, since “The Walking Dead” stopped at the same time as Pan Am and hasn’t been on again yet. I absolutely love this show – if it is cancelled in America, could the bbc not use some of our tv licence money to take over production? I don’t know about anyone else but for me, this show has been the only thing worth watching on a Saturday night in ages! We don’t all want to watch old film re-runs, lame reality shows or an endless procession of lawyer based shows you know!!! I know just how you feel – it would be awful if the series just finished half way through! There must be room for good drama like this, it’s a nice change from the usual stuff. I would like to see the BBC invest more time in drama like Pan Am and Sherlock. Has Pan Am already finished in the States? Did they complete the season? well i hope ABC listens to everyone and carry on with this programe, a great family show with everything. just watched what i believe is the last episode of the first series, surely they can’t leave it like that. i think it got better as it went on. I reckon it really took off (ha ha) after a few episodes too. We’re up to episode 14 here in Britain, aren’t there 22 in total? I reckon the series could really develop and gather pace in a second season – let’s keep our fingers crossed! I noticed there was no episode this last weekend and I’m hoping it hasn’t just been dropped. While it may still be finding it’s way I do find Pan Am one of the more interesting shows on TV at the moment. Personally I would welcome a second season and it makes a welcome change to the seemingly endless diet of current day police dramas. I coulld not agree more, it’s a breath of fresh air in the TV schedule – let’s keep our fingers crossed that the show gets picked up! 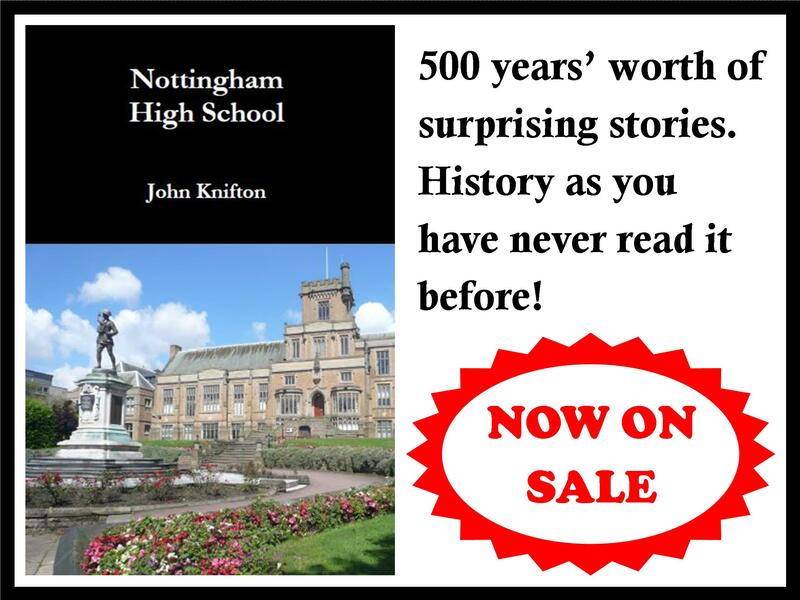 Glad you enjoyed it – if you want to get in touch with me then please use the “contact” form on my “About” page. Thanks! this post. I am returning to your blog for more soon.